Unfortunately, it’s my ancestor’s story. I finally got around to watching last week’s episode of TLC’s Who Do You Think You Are? The program, sponsored (at least in part) by Ancestry.com, follows the journey of a celebrity (one per episode) in learning more about their family’s history. Last week’s episode (August 23) was about actor Bryan Cranston (Malcolm in the Middle, Breaking Bad, etc. 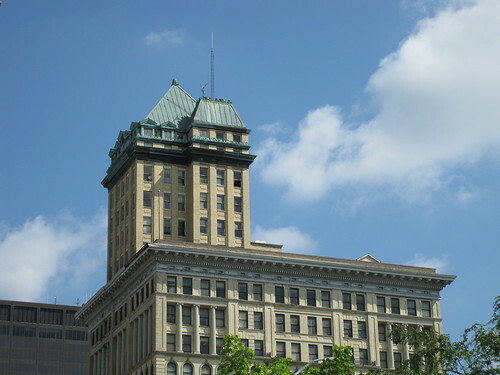 ), and a segment of it took place here in Dayton, Ohio, where one of Cranston’s ancestors was a resident at the Soldiers’ Home (now the Dayton VA Medical Center). I was hoping to see some familiar faces in the Dayton segment, as I know that in addition to the folks at the Dayton VA, some of my friends (and fellow Dayton history preservers) at the Dayton Metro Library and the Montgomery County Archives & Records Center provided assistance for the episode. However, only one Dayton person made it on screen — Tessa Kalman of the Dayton VA – and I confess I do not know her. Without giving away ALL the details of the episode — which I think you can theoretically watch online here — and which is not the reason I came here to write, anyway — I will say that there was a bit of a theme to what was revealed in Cranston’s ancestry: fathers who abandoned their families. At the beginning of the episode, Cranston expressed that he hoped he would find something exciting, something that would make a good story, though he acknowledged that something that makes a good story probably wasn’t actually so good for the people it actually happened to. My mind immediately went to the story of a particular great-grandmother, before I even knew what the rest of the episode would entail. Cranston finds that his grandfather had a first wife and a daughter that he’d never heard of (the daughter died of TB as a teen); the grandfather left this family, enlisted in World War I a few years later, and later went on to have another family with Cranston’s grandmother. A more distant ancestor did something similar, abandoning a wife and son in Canada and eventually enlisting in the American Civil War. The story pertains to my great-grandmother Nunziata. She was born in Italy and later immigrated to Ohio. Before Nunziata was married to my great-grandfather, she had a first husband named Silvio, who abandoned her. He left her pregnant with a daughter he would never even meet. He eventually went back to Italy himself and served in World War I.
Silvio may or may not have died fighting in the Alps. I’m not being cute; I’m really not sure. I have a clue that seems to indicate that is indeed how he met his end, but I’m not completely sure it was him. On the one hand, I kind of hope so, because “that’s what you get for abandoning your pregnant wife and leaving the country, jerkwad.” On the other hand, if he hadn’t done so, I probably never would have been born. So…there’s that. Nunziata married and had 3 more children, one of them being my grandmother. She died at age 24 of tuberculosis, leaving those 4 small children (age 7 and under), including the daughter by her first husband. That daughter also later died of tuberculosis, at age 19. That’s Nunziata in the image above, or at least that’s what I’ve been told. I find it difficult to believe that as the face of a woman aged 24 years or younger (because Nunziata died at 24 so could not be older than that in any photograph)…she looks so much older. But I know that people of the past tended to look older, sooner, because life was harder then — especially if their lives were harder than average. And from what I know about it, she certainly had a tumultuous life. There’s more to the story than what I’ve written here — well, isn’t there always? There’s always more to any historical story than we could ever know. But in this case, I mean, there’s actually more to this one that I do know but have elected not to share. I recently found out many more details about this woman with the short and dramatic life. But when I excitedly recounted these recently discovered gold nuggets of information to my father — it was “a great story,” after all — he did not seem to share my excitement. To be honest, I think he may have even been less than thrilled that I had uncovered them at all — 100-year-old details that even he didn’t know, yet I think he would have been content to have never known. Anyway, I doubt he would be too happy if I laid them all out here. I guess I was just glad to hear someone else say that — to recognize a really enthralling story for what it is, but yet, even though it’s got the makings of a great tragic novel…it’s not fiction, and more than that, it’s something that happened to not just a real person, but to someone in your family. And that in addition to being justifiably mesmerized by “the story,” you should probably try to remember to be at least a little bit sad about it, because for somebody (actually more than one somebody) that wasn’t just a story; that was their life. 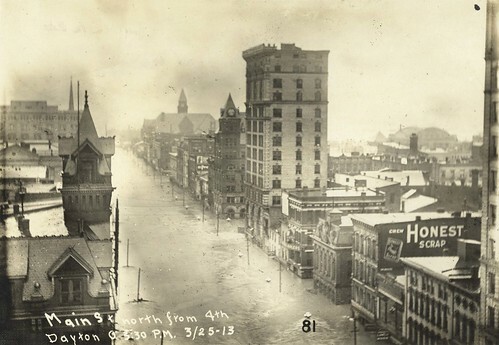 My goal in this post is to show you some cool “before” and “after” photos (or at least before OR after photos) of some survivors of Dayton’s 1913 flood—no, not people, but buildings! 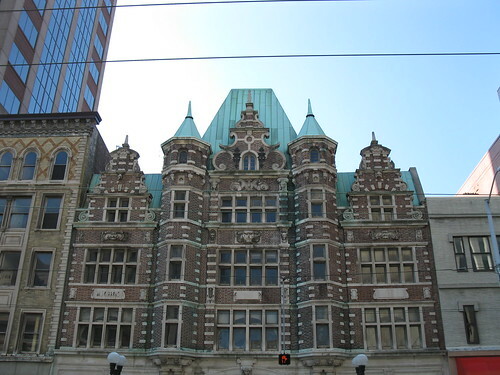 I thought it might be of interest to highlight some of Dayton’s older downtown buildings that “survived” the flood and (perhaps even more impressively) still survive today (i.e., they haven’t been torn down in the interest of so-called “progress”- but that’s a whole other entry). But before I dive into the photographs, I wanted to address the radio silence of the past nearly two months. I suppose perhaps I was a little bit “blogged out” after writing a zillion (or so it seemed at the time) posts about the 1913 flood on the blogs at work: if you haven’t already done so, check them out on Wright State U. Archives’ Out of the Box blog and the Dayton Daily News Archive blog. 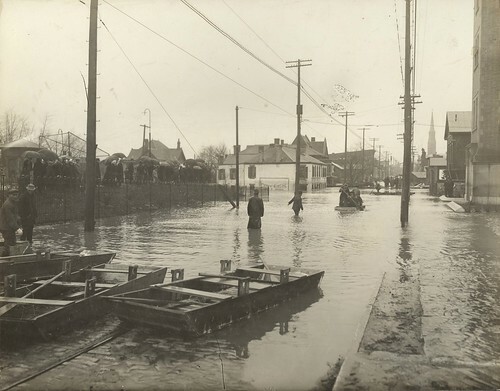 And on top of being “blogged out,” I had rather run out of steam on the whole topic of the 1913 flood (and still kinda am, though I’ve set it aside for you today because I don’t want to put it off any longer). I’m a little sick of talking about it, to be perfectly honest! I know, I know! That sounds horrible. But for about a month it seemed like I was eating, sleeping, and breathing the topic—ok, not really, of course—and I did that because it was an extremely important event in Dayton’s (even Ohio’s) history, and the commemoration of that event deserved my full attention and to be “done up right.” And so I did. (If you don’t believe me, see my previous entry.) And I don’t regret that. But…I’d really love to not talk about it anymore for a while. After this entry, of course. You can see them both in this flood photo below. 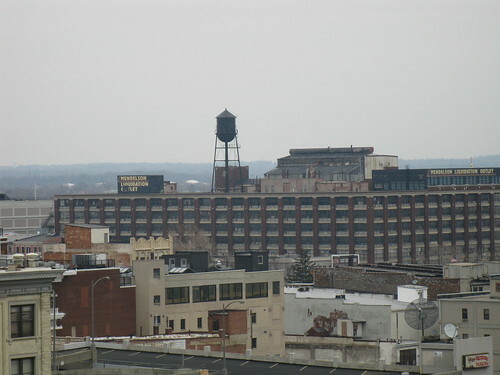 The Conover Building is the really tall building near the center of the photo (not the one with the clock tower- that’s the Callahan Bank Building); Memorial Hall is the rounded topped building in the upper right of the frame. I couldn’t find great flood photos of these, so you’ll have to trust me on this when I show you these pics of the steeples in the distance that that’s really what I’m showing you! As for the “now” photo, I don’t seem to have a photo Holy Trinity (but here’s a great one from Flickr user SyntheticTone). These next three, the flood photos don’t show much of the building, so again you might have to take my word for it that it is where it says or that the building is in there somewhere (because I know it must be). The photos depict primarily the clean-up or debris. 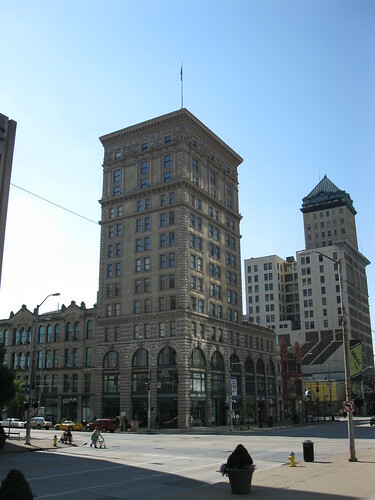 The Arcade is the building on the right in the photo below. You can probably recognize some of the stonework from the facade. See that bright white building in the background that looks kind of like a bank (there’s a great historical explanation for that, btw- another time, perhaps), just to the left of that bally lamp post? Yeah, that’s the DDN building. Not sure how much longer the DDN building will look like this, though, since it was recently announced that Sinclair Community College is planning to incorporate the block into some kind of dormitory project; allegedly, the original (bank-looking) portion of the DDN offices will be “preserved,” though. So if you haven’t seen it before, you should go see it ASAP before it changes too much! 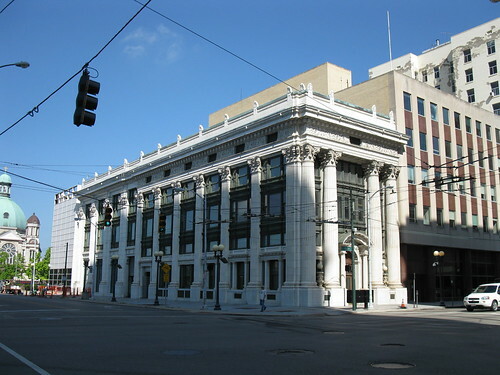 Well, there you go, folks- a little photo tour of downtown Dayton with emphasis on buildings that survived the 1913 flood (as well as humanity’s need for tearing down old buildings to build newer, usually uglier, ones). There are certainly others I could have chosen, most of them smaller and a little less grand, but there nonetheless. But I was trying to think of grandiose buildings that it would be easy to locate “before” (or flood) pictures of. I still seem to have failed at finding as many of those before photos as I really wanted, but nevertheless. It’s something. And I hope you enjoyed it. What kind of Miami Valley archivist would I be if I didn’t acknowledge the centennial of the 1913 flood on my history/archives blog? 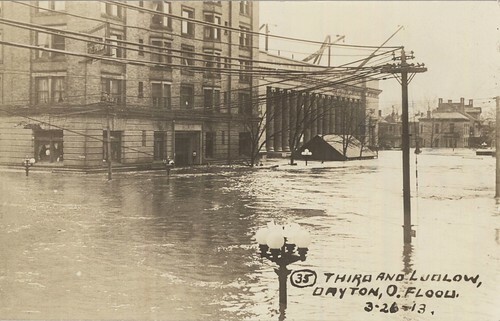 I’ve worked in Dayton-area archives long enough to know that the 1913 flood has been remembered on many days and in many ways ever since, as an important event in our area’s history. But we do love anniversaries—and the 100th is a very special one, after all, since it’s such a nice, round number! There’s been a lot going on to commemorate the 1913 flood this year. 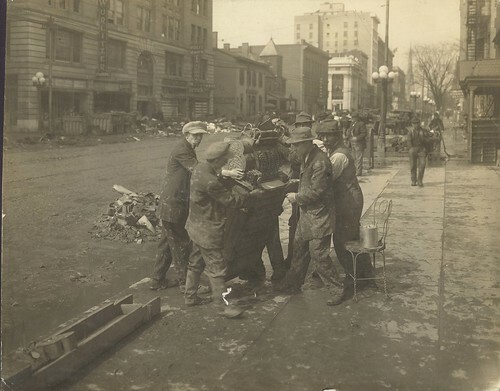 And to be perfectly honest, I’ve already been involved in so much of it that I damn-near forgot to even mention it here, because I feel like my “1913 flood commemorating” mojo is virtually exhausted by now! But like I said, what kind of Miami Valley archivist would I be if I didn’t say something on my own blog as well? Most of the 1913 flood commemoration activities that I was personally aware of are mentioned in an article I wrote for the Spring 2013 issue of the Ohio Archivist (the newsletter of the Society of Ohio Archivists- see page 28). But I certainly want to point your attention to the official commemoration web site 1913flood.com. 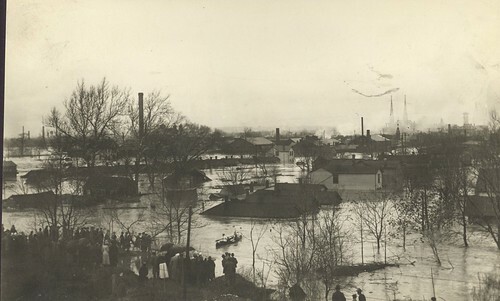 We’ve done some cool things where I work at Wright State, too—so much so that we’ve even dedicated an entire section of the WSU Special Collections & Archives web page to the 1913 flood. There are a couple of exhibits listed, one of which is a web exhibit done a few years back called The Flood Menace. There is also info about the 1913 flood traveling exhibit a couple of my colleagues created–what it is, pictures, how to borrow it, etc. 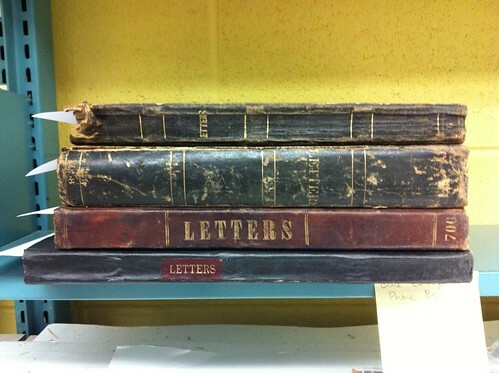 There’s also a lengthy Resource List detailing what research materials about the flood can be found at WSU and other area archives. (Don’t forget to check out the neat flood stuff we’ve got on our Campus Repository—interviews with flood survivors, for instance!) Oh, and there’s also an in-real-life flood exhibit (that I just happened to make) on the first floor of the Dunbar Library from now until about June. 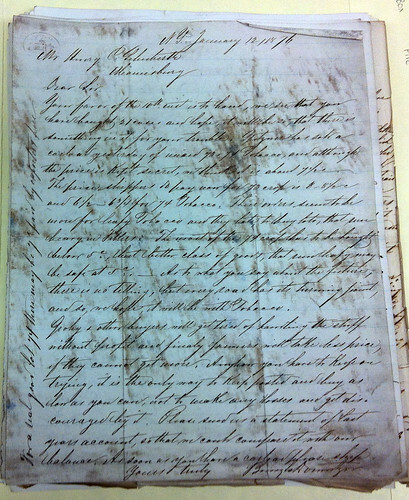 I think one of my favorite projects I’ve personally done to remember the flood is the transcriptions of flood diaries and letters that will be on the WSU Special Collections & Archives blog Out of the Box this week. (I just love letters and diaries; I can get lost in them so easily.) We’ll be following flood survivors Margaret Smell, J.G.C. Schenck Sr., Edward and Nellie Neukom, and Milton Wright (yes, that Milton Wright- father of the famous Wright brothers! ), through their flood experiences, reading about those experiences in their own words. Where applicable, I’ve added some small explanations, and I also hunted up some great photos from our collection to help illustrate their stories. I recommend checking out this intro to the diary/letter series, and there will be daily updates from the writers from today through early April. As you may recall, I have written about the flood here before. I wrote a blog post about it a couple of years ago: “Remembering the 1913 Flood” (March 24, 2011). Then there are those super-cool geo-tagged maps I made using Flickr and Geo-Slideshow [May 9, 2011], for the flood photos and postcards at the Dayton Metro Library (where I used to work). 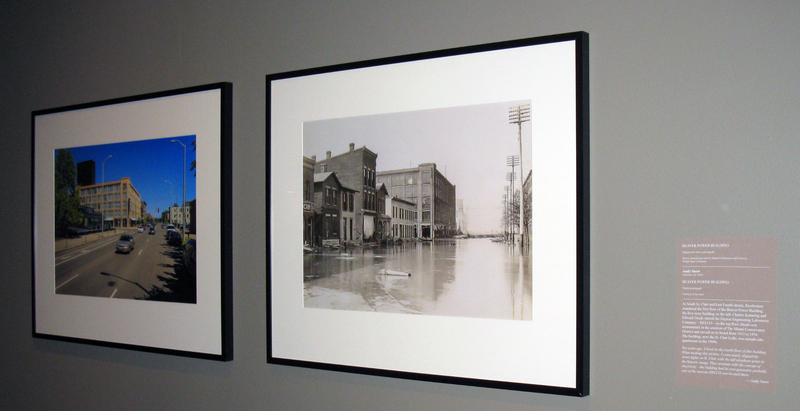 And don’t forget the 1913 flood before-and-after exhibit at the Dayton Art Institute, which, although mentioned in my SOA article and on the 1913flood.com web site, bears repeating because I was privileged to see it in February, and it is super-awesome. Obviously, there’s plenty more out there besides what I’ve mentioned here. (And let’s face it, I’m going to be a little biased towards the projects that I’ve personally worked so hard on—certainly not to undercut how hard everyone else has worked on their projects, but this is my blog, so why wouldn’t I toot my own horn a bit?) 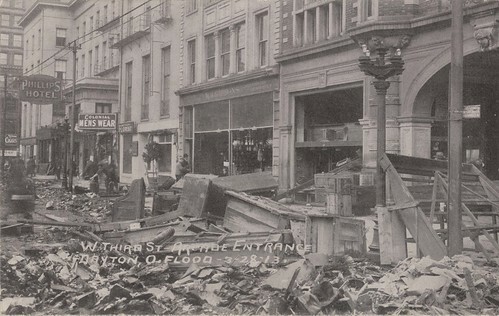 There have been tons of really great articles about the flood and the commemoration activities in the Dayton Daily News (and I’m sure many other area papers) lately. Well, I think that’s about all I have to say about the flood for now. 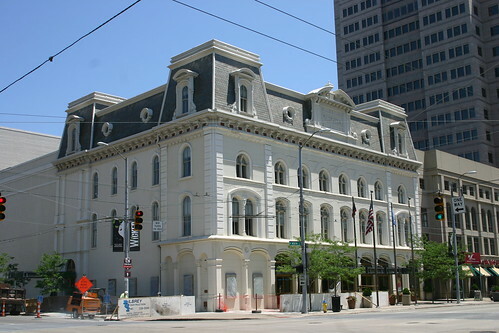 I hope anyone with an interest in this particular part of Dayton’s history takes notice of all these projects and events going on this spring, because there’s lots of great stuff to experience and absorb….and it might be another nice-round-number-of-years (25? 50? 100?) before there’s so much terrific culture being dedicated to the 1913 flood once again. Last Thursday, February 21, was a busy but fun day for me. After the Miami Valley Archives Roundtable meeting, I was fortunate enough to have been invited to attend a special preview of the Dayton Art Institute‘s new exhibition commemorating the centennial of the Great 1913 Flood: Storm, Watershed, & Riverbank. Storm: Paintings by April Gornik, consisted of several large scale (we’re talking LARGE scale, like 6 feet by 8 feet!) paintings depicting various kinds of storms, weather, and other natural waters. They were really beautiful. You can see many of April’s paintings on her web site, although my favorite one from the exhibit, “Light Passing” (1987), doesn’t seem to be on there. 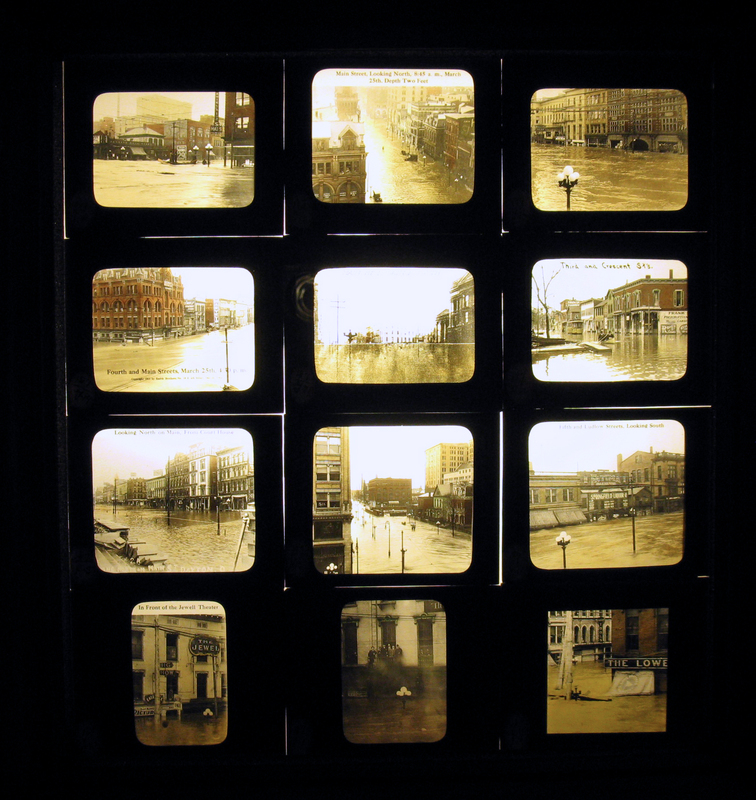 After a transitional area showing three enlarged lantern slide views of the flood, as well as a Baltimore & Ohio Railroad map with notations about flood damage, we embarked upon the second part of the exhibition: Watershed: 100 Years of Photography Along the Great Miami River. 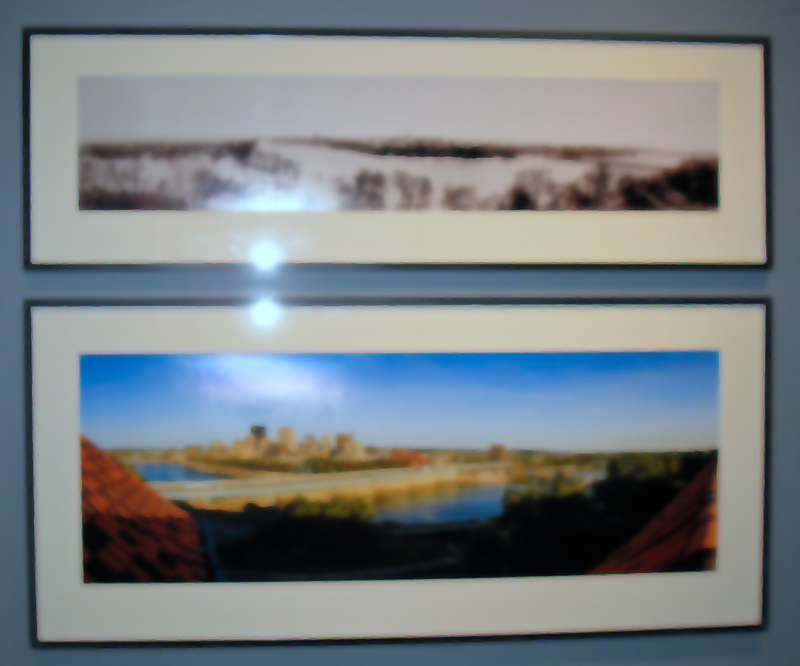 The Watershed exhibit consists of “before” and “after” photographs showing a scene from the flood, paired with a recent photograph taken at the same location and angle. The photos showed scenes from Piqua all the way down the Great Miami River to Hamilton. The “after” photographs were created by Dayton photographer Andy Snow, who created more than 5,000 digital files for this project. Photographer Andy Snow giving us insights to help us more fully appreciate his photos. Mr. Snow was present on the tour to share his insights about the photos and the project. He shared lots of interesting stories and pointed out details that helped us more fully appreciate what we were seeing. He told us that he manipulated some of the photos slightly in order to make them “pop and sing,” saying, “I like singing photographs.” 🙂 He also gave us some historical context, including a lesson in historical photography equipment (examples of which is included in the exhibit) and the reasons why in old photos, the sky looks gray. He also referred to Dayton as “the Silicon Valley of the time,” in explaining why its destruction was such major nationwide news. Angela Manuszak of the Miami Conservancy District, who was integral to the project, was also present on the tour and also gave us great historical context to help us better understand and appreciate what we were seeing. Angela Manuszak of Miami Conservancy District sharing snipptes of the flood story to help give us context. Before and After view from the hill where Dayton Art Institute is today. (Yes, it’s blurry; it’s not your eyes.) This pair was just awesome. You’ve got to see it! Some of the 72 original hand-tinted lantern slides on exhibit from the Miami Conservancy District’s collection. Near the end of the Watershed exhibit, there was a sitting area with the chairs pointed at a large flat-screen TV that was showing the Before/After photos fading into one another. I almost walked right by it, thinking, “Oh, I’ve seen this,” but after my brief conversation with Mr. Snow, he encouraged me to check it out, that it gave a little different perspective on the photos. And it really did: in some cases the photos were framed so perfectly that when the Before faded into the After, certain details that existed in both photos (like a church steeple, for instance) were lined up perfectly. It was almost like that part of the photo was simply turning color and having its surroundings changed, while it remained the same. VERY COOL. Thanks, Mr. Snow, for encouraging me to take a second look at that– it really was worth it. Plus, hey, it gave me an excuse to sit for a minute. Also in talking to Mr. Snow, I asked if these were the same photos that will be featured in the 1913 Flood before/after book that I’ve been hearing about — the real title of which I couldn’t remember at the time, but which is, for your information A Flood of Memories–One Hundred Years After the Flood: Images from 1913 and Today. 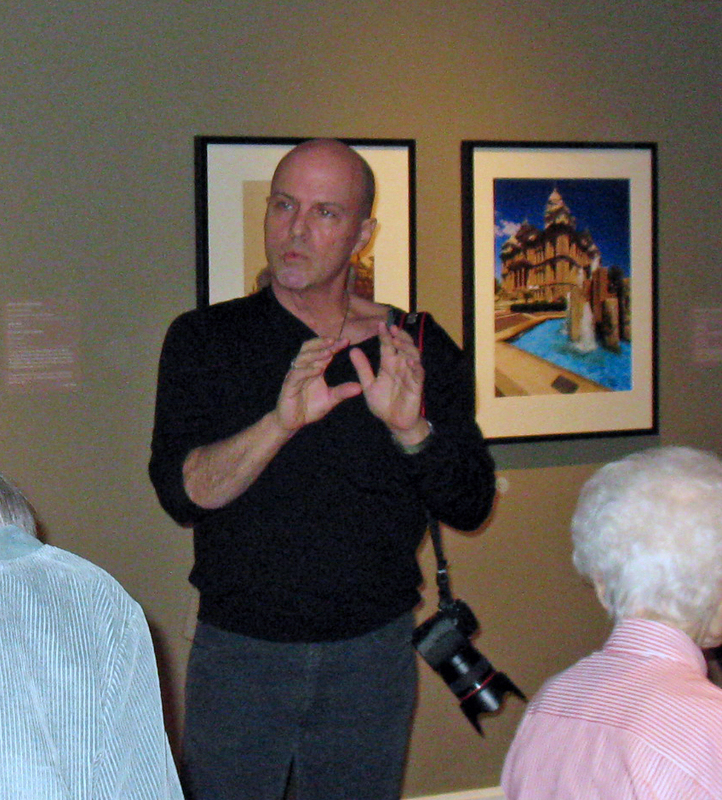 The answer was, yes, but only about 1/2 the images in the book were featured in the exhibit. So there’s MORE. Yay! 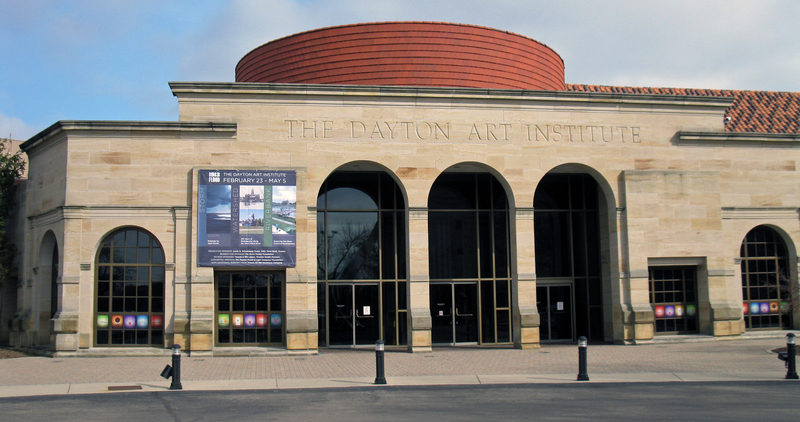 He said the book should soon be available for sale in the book stores at Dayton Art Institute and Carillon Park (which incidentally also has a new permanent exhibit on the 1913 Flood opening March 23). 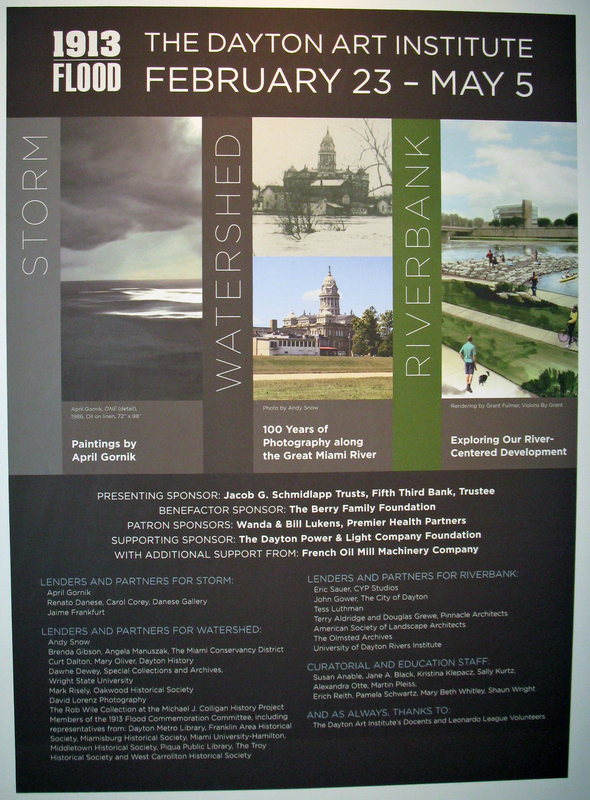 The Storm, Watershed, & Riverbank exhibition runs February 23 through May 5, 2013, and museum admission is $12. If you are interested in a visual history of the 1913 Flood, you don’t want to miss this. It was absolutely amazing. 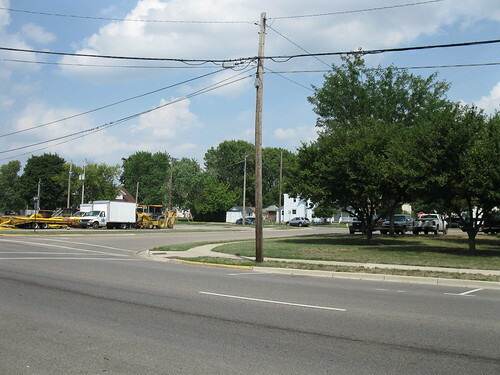 The village of Germantown, Ohio, was founded in 1804, when several German families from Pennsylvania settled there. These families were members of the Reformed and Lutheran churches. In 1809, the settlers built a single church to be shared by both congregations. This church, built of logs, was located near the present site of Emmanuel’s Evangelical Lutheran Church on Warren Street. Initially these services were conducted by traveling ministers, but after a few years, both congregations had pastors in residence: Rev. Thomas Winters for the Reformeds and Rev. John Caspar Dill for the Lutherans. The congregations shared the log church for 20 years, alternating Sunday services every other week—a Lutheran service one week, a Reformed service the next—although families of both denominations attended services every week. 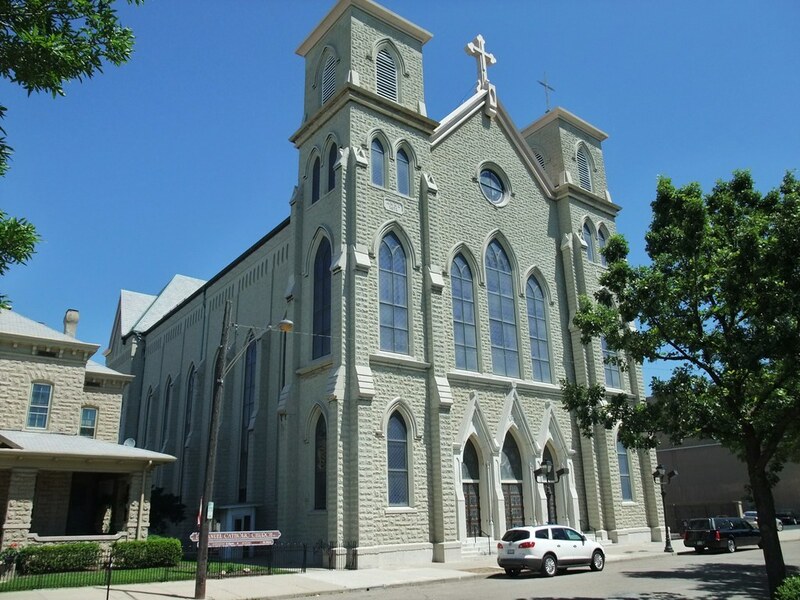 In 1818, Philip Gunckel, the town proprietor, began building a large new brick church at the corner of Market and Walnut streets, on the property where St. John’s Reformed Church currently stands. He sold half of the church building to Reformed congregation and the other half to the Lutherans, for $600 each. The new church building was finally completed in 1828, and the two congregations worshiped together happily for two years in the new building. However, in 1830, a dispute arose between the Lutherans and Mr. Gunckel (a member of the Reformed church), and the Lutheran congregation returned to the log church. Thenceforth, the two congregations worshiped separately, although they shared a common burial ground until 1879. Rev. Thomas Winters served the Reformed Church at Germantown for about 25 years before retiring in 1840, due to old age. He was succeeded by Rev. George Long, whose pastorate was rather tumultuous. Rev. Long wished to introduce new measures into the Reformed church, such as prayer meetings, and when this met with resistance, he was ousted. The Reformed congregation was then split between those who followed the Old Measures (and remained at the old church) and those who followed the New Measures (and worshiped in a new congregation led by Rev. Long). The New Measures church was short-lived, however. About 1845, their church building burnt down a few years later and then Rev. Long departed. Rev. Thomas H. Winters led the New Measures from 1846 to 1848, and a new church was built. However, when the congregation could not pay for the new church, it was sold at auction. The New Measures congregation disbanded, with most of its members joining the Methodist or United Brethren churches. The Old Measures congregation—which, after the dissolution of the New Measures congregation around 1848, could be simply known as the Reformed congregation again—had continued to worship at the brick church on the corner of Market and Walnut streets. They continued to use this building, which had been finished in 1828, until the year 1866. At that time, the old building was dismantled, primarily by the work of the men of the congregation, so that a new church could be built, partially on the same site and partially on new ground. The new church took 13 years to complete, partially due to financial problems. After the first floor was completed, the project ran out of money. The congregation worshiped in this basement room in the meantime, still waiting the completion of the second floor audience room. After Rev. P. C. Prugh became the congregation’s pastor in 1876, he and church trustee Henry Hildabolt set out to solicit subscriptions for the remaining funds ($3,000) required to finish the church. In a short time, they received the necessary pledges, and construction continued. The new church was completed in 1879. In 1891, the church trustees purchased a property on the southwest corner of Main and Gunckel streets to be used as the first parsonage. This was used until 1899, when a new parsonage property on the northwest corner of Gunckel and Walnut streets (the lot behind the church) was purchased. On Sunday, April 7, 1907, a tornado struck, and the Reformed Church sustained serious damage, including being partially unroofed. The damage was so severe that the congregation decided it would be best to demolish the building and construct a new one on the same site. The cornerstone for the new church was laid on November 3, 1907. 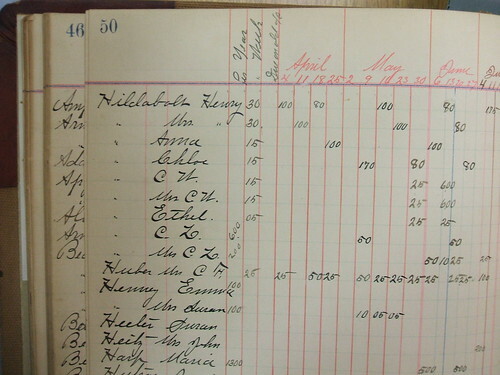 Within the cornerstone were placed several items, including a list of church members (including 261 names), as well as several other lists and documents. 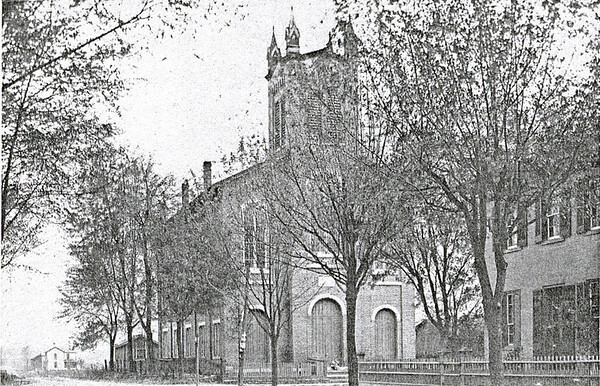 The grand opening of the new church was held in the Fall of 1908. The formal dedication was held on June 1, 1913, after all the construction costs were either paid or pledged. The mortgage burning was held on April 17, 1921, after the total construction costs ($37,000) were paid off. 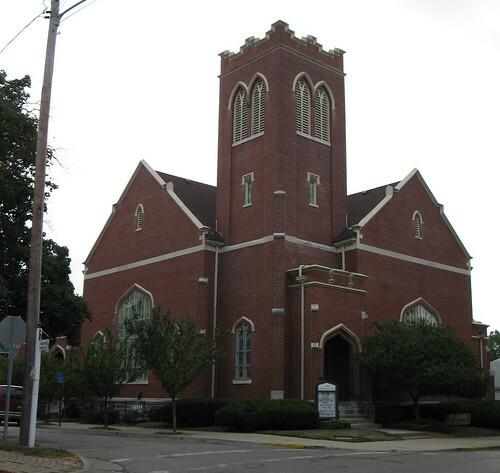 The 1908 church building is still used by St. John’s congregation today, although the denomination itself has gone through some changes. In 1934, the Reformed and Evangelical churches merged nationally and became known as the Evangelical and Reformed Church. In 1957, the Evangelical & Reformed Church and the Congregational Christian Church merged nationally and became known as the United Church of Christ. Therefore, the former St. John’s Reformed Church is now the St. John’s United Church of Christ. 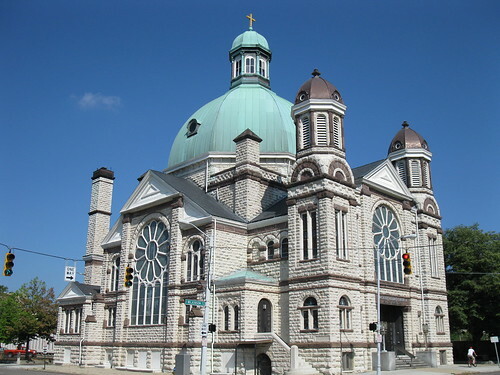 This congregation, over 200 years old, has worshiped at the southwest corner of Market and Walnut streets since 1828. Rev. Thomas Winters was the father of Valentine Winters, a prominent Dayton banker. Two of Rev. Thomas’s other sons, Thomas H. and David, also became ministers. For a more complete list of the contents of the 1907 cornerstone, see Annie Hildabolt’s Centennial History. Becker, Carl M. The Village: A History of Germantown, Ohio, 1804-1976. Germantown, OH: Germantown Historical Society, 1981. Dayton Local History 977.172 B395V. Hentz, John P. History of the Evangelical Lutheran Congregation of Germantown, Ohio, and Biographies of its Pastors and Founders. Dayton, OH: Christian Publishing House, 1882. Dayton Local History 284.1 H52. Hildabolt, Annie. 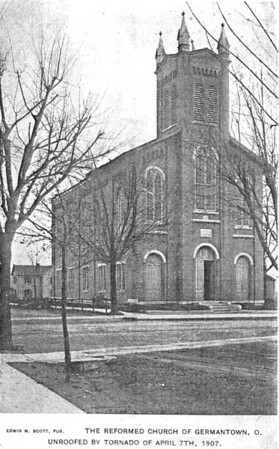 “Centennial History of St. John’s Reformed Church at Germantown, Ohio” (1914). 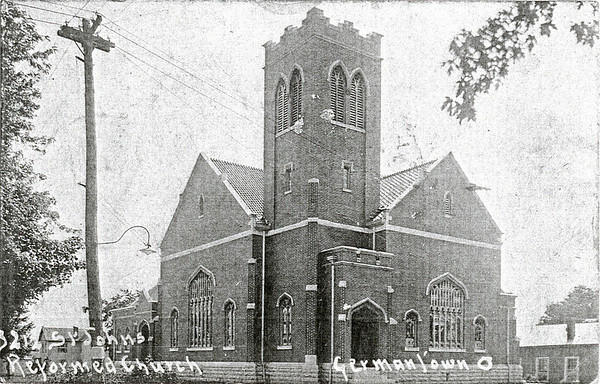 St. John’s Reform Church, Germantown, Ohio, Records, 1843-1914 (MSS 25), Ohio Historical Society (Columbus, Ohio). History of Montgomery County, Ohio. Chicago: W. H. Beers & Co., 1882. Dayton Local History 977.172 H673A. Kerne, Charme. History of Germantown [1804-1954]. [Germantown, OH? 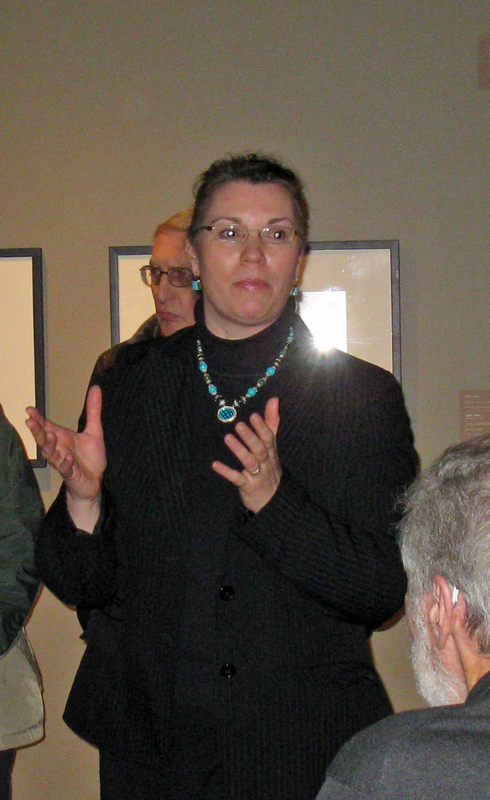 ]: [Germantown Sesquicentennial Historical Committee? ], 1954. Dayton Local History 977.172 K39H. Montgomery County, Ohio, 1990: A History Written by the People of Montgomery County, Ohio. Dallas, TX: Taylor Publishing Co., 1990. Dayton Local History 977.172 M78813. St. John’s United Church of Christ. “About Us.” 21 Oct. 2008. Accessed 28 Aug. 2012. http://www.stjohnsuccgermantownohio.org/page2.html. This biographical sketch was originally written by Lisa P. Rickey in August 2012 for the St. John’s Reformed Church (Germantown, Ohio) Records (MS-042) finding aid at the Dayton Metro Library, 215 E. Third St., Dayton, Ohio, 45402; phone (937) 496-8654. Additional information about the sketch’s subject can be found in that collection. For more information about the manuscript collection’s contents, please see the original finding aid (which includes a name index), available in the Local History Room of the Dayton Metro Library or the OhioLINK EAD Repository entry. 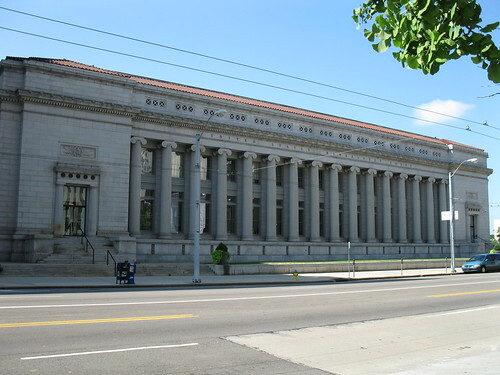 Please contact the Dayton Metro Library or this blog’s author for more information about how to access the original finding aid or the manuscript collection. Henry Christian Schuberth was born June 7, 1848, in Wandsbek (near Hamburg), Germany, second of the nine children of William and Christina (Kahler) Schuberth. Henry came to America when he was 3 years old. William and Christina Schuberth, with their four children, departed Hamburg, Germany, on November 17, 1851, aboard the ship Howard, and arrived in the port of New York in February 1852, after a voyage of 13 weeks. 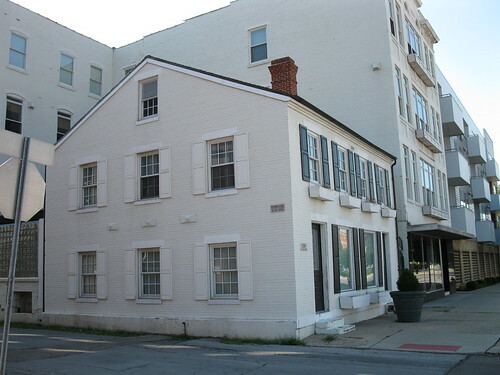 The Schuberth family settled in Pennsylvania for two years before moving to Cincinnati in 1854, where William, a carpenter by trade, set up his business on the corner of Fifth and Elm Streets. William Schuberth later returned to Pennsylvania, settling at Unionville, near Pittsburgh, about 1870. Henry C. Schuberth received a common education and worked as a clerk for a few years in both Allegheny City, Pennsylvania, as well as Cincinnati, Ohio, before moving to Miamisburg, Ohio, where he would spend the rest of his life. Henry came to Miamisburg in 1865, when he was about 17 years old, to work as a clerk (for wages of $5 per month) in the tobacco business of his cousin Charles H. Spitzer. Spitzer was connected with the New York City tobacco dealing firm Bunzl & Dormitzer (Julius Bunzl and Henry Dormitzer). When Spitzer removed to New York in 1873, Henry was given charge of Spitzer’s tobacco business at Miamisburg, including purchasing tobacco on joint account with Bunzl & Dormitzer. The firm traded several million pounds of tobacco per year at Miamisburg. Henry continued to conduct business with the firm Bunzl & Dormitzer until the end of 1883, when the firm dissolved after 35 years due to the retirement of Mr. Dormitzer. On January 1, 1884, the firm reconvened as J. Bunzl & Sons, and consisting of Julius Bunzl and his three sons Victor, Gustave, and Ernest Bunzl. Henry continued to do business with J. Bunzl & Sons through at least 1889. Henry conducted business with Joseph Bimberg, a tobacco dealer in Detroit, Michigan, from at least 1892 through 1897. Henry also conducted trade in the tobacco business with a number of other tobacco dealers in the Miami Valley, particularly Levi Baker of Brookville. 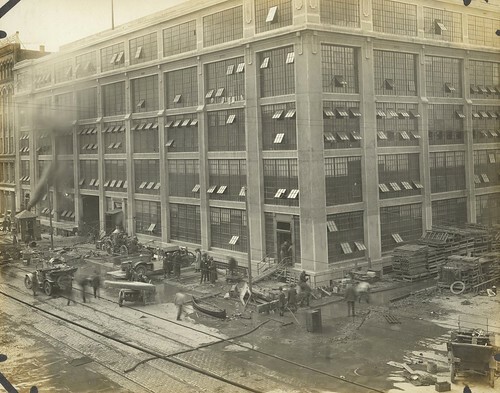 Henry’s tobacco warehouse was located between First Street (previously called Canal Street) and the Miami-Erie Canal, at the east end of Ferry Street (which used to dead-end before the canal). The spot where his tobacco warehouse once stood is now occupied by the continuation of Ferry Street between First and Second Streets. 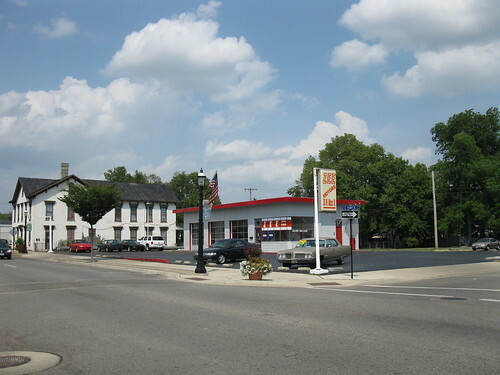 Henry’s home, at 110 N. Main Street, was approximately 1 block away, where part of the Zee Motors lot is now. Henry C. Schuberth was widely recognized as being the oldest tobacco dealer in the Miami Valley at the time, when taking into account his years of continuous and actual service in the area’s tobacco industry. Henry was a member of the Knights Templar, the Scottish Rite Freemasons, the Knights of Pythias, the International Order of Odd Fellows, and the Lutheran Church. In politics, he was a Republican. On September 29, 1870, Henry C. Schuberth married a neighbor Sarah Oletta Shultz (1853-1937), daughter of Emanuel Shultz (1819-1912), a produce trader, tobacco dealer, banker, and later Congressman from Ohio’s 4th District. Harry C. Schuberth (born Dec. 4, 1880; died 1954), who married Louise Victoria Kessel (1880-? ), and had two daughters, Mary Oletha Schuberth and Virginia K. Schuberth. 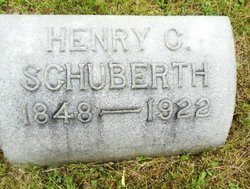 Henry Christian Schuberth died on February 26, 1922, at his home in Miamisburg, Ohio, as a result of a cerebral hemorrhage. He was buried on March 1, 1922, at Hill Grove Cemetery in Miamisburg. His wife Sarah died May 27, 1937, in Miamisburg, and was buried next to him. Conover, Frank. Centennial Portrait and Biographical Record of the City of Dayton and Montgomery County, Ohio. [Chicago]: A. W. Bowen, 1897. Pages 1048-1049. Dayton Local History 977.172 C753C 1897. History of Montgomery County, Ohio. Chicago: W. H. Beers & Co., 1882. Pages 422, 458. Dayton Local History 977.172 H673A. LaMarco, Frances. “Howard. 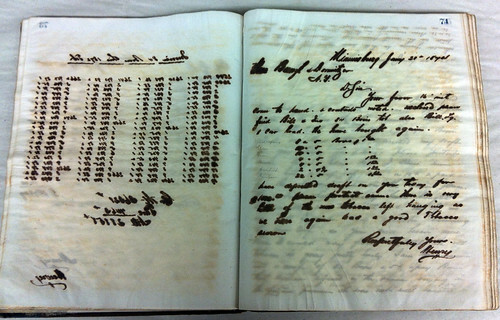 Hamburg, Germany, to New York, November 17, 1851.” Immigrant Ships Transcribers Guild. Transcribed 25 July 2000. Accessed 24 July 2012, http://immigrantships.net/v3/1800v3/howard18511117.html. “Ohio Deaths, 1908-1953.” FamilySearch web site. Accessed 24 July 2012, http://www.familysearch.org. Sanborn Fire Insurance Maps for Miamisburg, Ohio, 1886 & 1892. Accessed 24 July 2012, http://dmc.ohiolink.edu/oplinmap.htm. 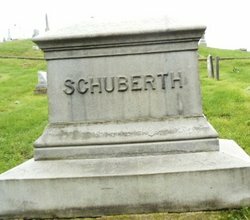 “Schuberth, Henry C. (1848-1922).” Find A Grave. Accessed 24 July 2012, http://www.findagrave.com/cgi-bin/fg.cgi?page=gr&GRid=75055728. U.S. Federal Census, 1860-1930, via Ancestry Library Edition. When Tobacco was King and the Farmers Reigned. [Miamisburg, OH]: Miamisburg Historical Society, 2002. Pages 121-122. Dayton Local History 338.17371 W567 2002. This biographical sketch was originally written by Lisa P. Rickey in August 2012 for the Henry C. Schuberth Tobacco Business Records (MS-033) finding aid at the Dayton Metro Library, 215 E. Third St., Dayton, Ohio, 45402; phone (937) 496-8654. 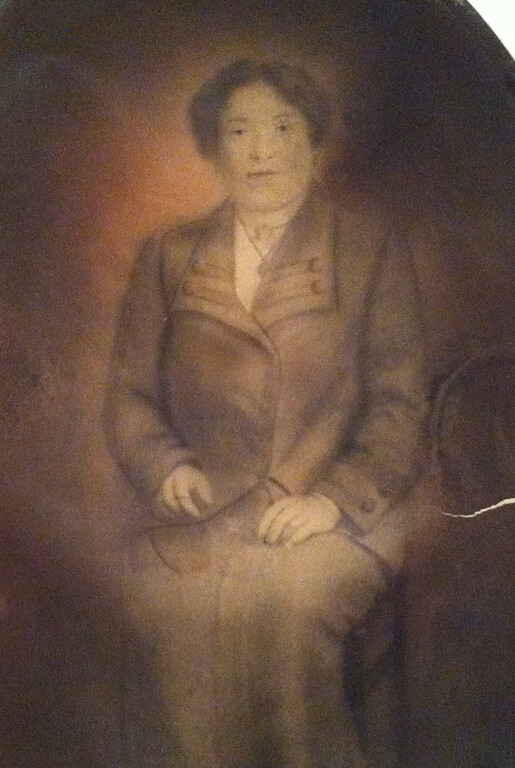 Frank S. Breene and Carrie A. Breene were the youngest children of William Gale Breene (~1820-1896), a Dayton tailor who was a native of Ireland, and his wife Margaret (Jernee) Breene (~1822-1895). 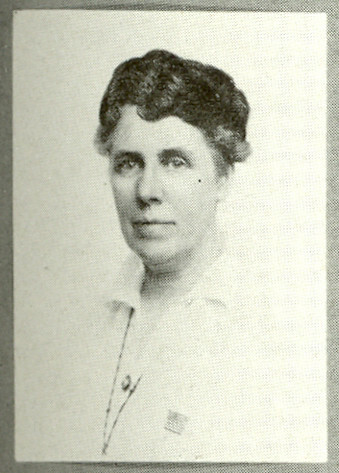 Carrie A. Breene (1864-1944), a Dayton teacher. Frank Shuey Breene was born November 20, 1860, in Dayton, Ohio. He graduated in 1879 or 1880 from Dayton’s Central High School and began training for the bar soon afterwards. He apprenticed in the law office of Marshall & Gottschall. In May 1883, Frank was admitted to the bar. 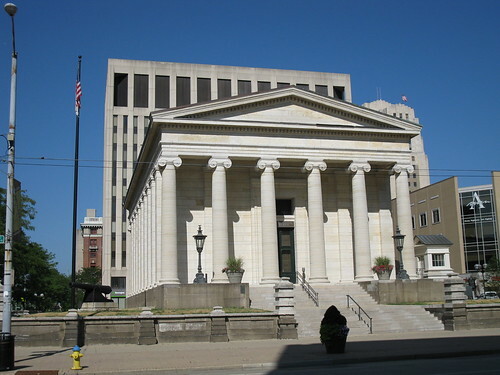 Frank practiced law in Dayton for more than 40 years. Early in his career, Frank was a justice of the peace in Dayton. He also served two terms as city solicitor from 1910 to 1914. In November 1924, he made an unsuccessful bid for common pleas court judge. In politics, Frank was a Democrat. Near the end of his life, Frank was a partner in the firm Breene, Dwyer, and Finn (with Albert J. Dwyer and Samuel L. Finn), which had an office in the Mutual Home Building. Dwyer had been Frank’s assistant during his time as city solicitor, and Finn had studied law under both Breene and Dwyer. Frank was a member of fraternal organizations including the Elks Lodge No. 58 and the Knights of Pythias, Iola Lodge. He was a member of the Dayton Bar Association, and, when the elite Dayton Lawyers’ Club was founded in 1909, Frank Breene was among its original directors. Frank S. Breene was never married. For many years, he and his two unmarried sisters, teachers Mary and Carrie Breene, lived together at 740 Superior Avenue (a large lot on the southeast corner of Superior and Easton) in the Old Dayton View neighborhood. The home site is now a grassy lot next to an apartment complex (736 Superior). 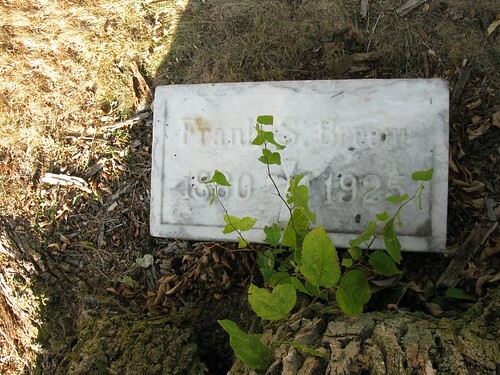 Frank S. Breene died of liver cancer on May 1, 1925, at his home on Superior Street in Dayton, Ohio, after an illness of several months. He was buried on May 4, 1925, in Woodland Cemetery in Dayton. 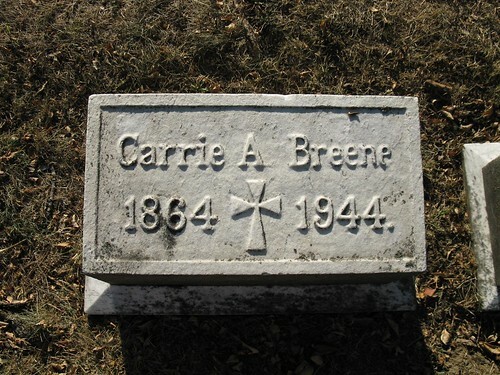 Carrie A. Breene was born October 22, 1864, in Dayton, Ohio. She graduated in 1883 or 1884 from Dayton’s Central High School. Her post-secondary education included the Dayton Normal School and the Columbia Teachers Colleges, as well as courses at Harvard University. Carrie was a teacher in the Dayton public schools for 40 years. In 1884, she began teaching in one of the primary schools and continued in that position until 1898, when she became a teacher at Steele High School. Over the years, Carrie taught English, public speaking, history, and Latin. She retired in 1924 as one of the city’s best known public school teachers. Carrie never married. She was was a member of the Young Woman’s Christian Association (YWCA), the Marlay Circle, the Woman’s Literary Club, and Westminster Presbyterian Church. Carrie died of pneumonia on May 24, 1944, at Miami Valley Hospital in Dayton, Ohio. She was buried on May 27, 1944, in Woodland Cemetery in Dayton. Central High School. Brief History of the Alumni of Central High School, Dayton, Ohio. Dayton, OH: Alumni Association of the Central High School, 1887. Volume 3: pp. 2, 57. Conover, Frank. Centennial Portrait and Biographical Record of the City of Dayton and Montgomery County, Ohio. [Chicago]: A. W. Bowen, 1897. Dayton Local History 977.172 C753C 1897. Dalton, Curt. Portraits of Dayton. Dayton, OH: Asylum Graphics, 1993. Volume 1 & 2. Dayton (OH) City Directories, 1886-1920. Dayton Metro Library. “Dayton Deaths : Miss Carrie Breene.” Dayton Journal, 26 May 1944, p. 10. Delta Kappa Gamma Society, Pi Chapter. Stories About Pioneer Women Teachers in Montgomery County, Ohio. Ohio: Delta Kappa Gamma Society, 1950. Dayton Local History B377172 D366S. “Breene, Dwyer and Finn.” Official Annual Labor Review 2, no. 19 (1918). 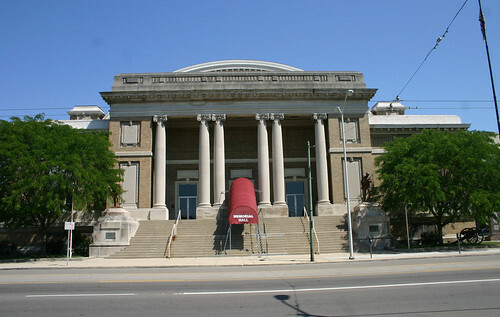 Accessed 26 July 2012, http://www.daytonhistorybooks.com/page/page/4478367.htm. 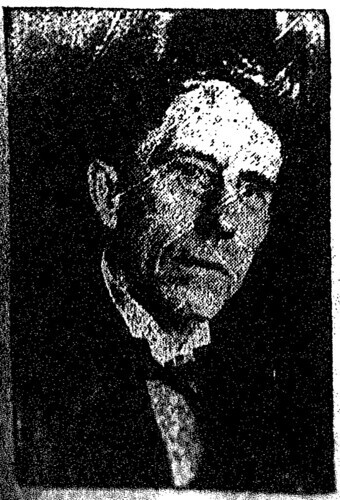 “Frank S. Breene Dies; Funeral is Set for Monday.” Dayton Journal, 2 May 1925, pp. 1-2. Greer, David C. Sluff of History’s Boot Soles: An Anecdotal History of Dayton’s Bench and Bar. Wilmington, Ohio: Orange Frazer Press, 1996. The Ohio Blue Book; or, Who’s Who in the Buckeye State: A Cyclopedia of Biography of Men and Women of Ohio. Toledo, OH: [s.n. ], 1917. “Ohio Deaths, 1908-1953.” FamilySearch web site. Accessed 16 July 2012, http://www.familysearch.org. Steele High School Annual, 1909-1925. Dayton Metro Library. U.S. Federal Census, 1850-1940, via Ancestry Library Edition. Woodland Cemetery & Arboretum Interment Database, accessed 7 June 2012, http://www.woodlandcemetery.org. This biographical sketch was originally written by Lisa P. Rickey in July 2012 for the Breene Family Papers (MS-030) finding aid at the Dayton Metro Library, 215 E. Third St., Dayton, Ohio, 45402; phone (937) 496-8654.